Improper food storage can easily ruin a chef's hard work and that’s why here at Pattersons Catering Supplies we stock an extensive range of kitchen storage solutions and commercial catering food containers. Whether it's in a commercial or domestic kitchen properly storing food in a food container is essential to saving time and money in the long run. Pattersons stocks a massive selection of food storage options, including food boxes, ice cream boxes which double up as great food storage tubs, plastic gastronorm containers as well as Kilner jars which make keeping food fresh easier than ever. 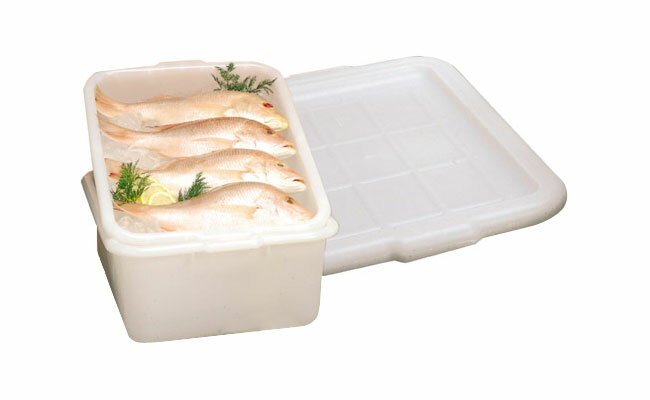 Airtight food containers are a reliable way of keeping fruit, meat, or bread fresh while also ensuring they are hygienically separated from other food, and our broad range of food boxes and containers comes in many different shapes and sizes. With space saving food containers from leading brands like Rubbermaid and Araven, there's no reason to let food go stale or contaminate other foods. We also supply utensil racks and plate racks so that you can keep your kitchen tools and crockery safe, neat, and tidy. For an attractive presentation why not buy one of our glass storage containers? Perfect for nuts, jam, or cereal, these Kilner jars will bring a homely charm to any kitchen while also being extremely effective at ensuring freshness and longevity. Whatever your food storage needs, Pattersons' Catering Supplies has the products for you! Choose between our plastic food boxes, freezer boxes, space saver containers, food transporting containers, Allergen GN food storage containers and loads more! Here at Pattersons Catering Supplies, we pride oursevles on our high quality and reliable professioanl kitchen equipment and offer next day delivery and fantastic wholesale prices on our food storage containers!